THUNDER BAY -- The Assembly of First Nations national chief wants to see the fiscal imbalance between on-reserve and off-reserve student funding addressed. National Chief Perry Bellegarde was the keynote speaker Thursday at Windigo Education Authority's conference, Moving Forward with our Children, at the Airlane Hotel and Conference Centre and said there is a 43 per cent discrepancy when it comes to funding per student for on-reserve students and off-reserve students. "There's been a cap on tuition and funding levels for close to 20 years," On-reserve tuition is $6,500 per child. Off-reserve it's almost $11,000 per child," he said. "There is a huge fiscal gap that exists." 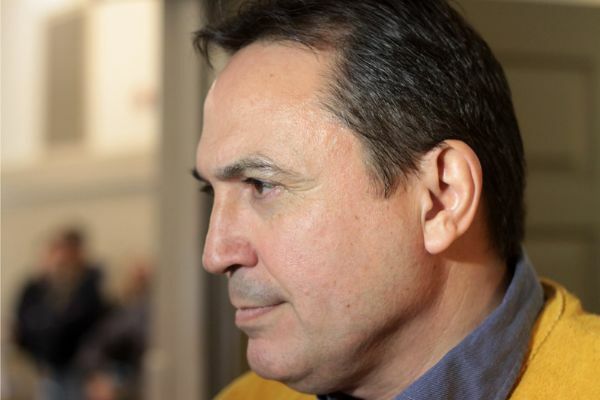 Funding needs for operation and maintenance of schools also needs to be addressed, said Bellegarde. "People need schools that are renovated and updated so their kids can go to school in a warm school, a school that has the proper facilities in place for math and science, computer labs. That's what needs to be addressed," he said. "We keep calling on the federal Crown to get to the table to address these fiscal imbalances that are there." At the conference, the national chief heard directly from First Nation leadership, educators and students from the Windigo territory, which includes the communities of Bearskin Lake First Nation, Cat Lake First Nation, Koocheching First Nation, North Caribou Lake First Nation, Sachigo Lake First Nation, Whitewater Lake First Nation and Slate Falls First Nation. Dennis Franklin Cromarty High School student River Beardy addressed the participants and Bellegarde said it was insightful and empowering to hear from the young leader. "He's 17 years old. He's come from a community and going to school here. He's walking in both worlds and it's hope for the future when I see young men and women doing that," he said. Beardy said he would like to become a police detective one day and also a medical technician in the army. "Maybe I can bring that information back to my reserve and help out," he said, adding he chose to speak Thursday to encourage students to keep learning and give them a goal to work towards. "We have a voice and we should be able to use it,' said Beardy.